Ready-Set-Read: Weekend Review: Where's Walrus? Where's Walrus? by Stephen Savage is a wordless picture book that portrays the plight of a walrus escaped from the zoo. Walrus escapes his small pool at in the city zoo. He leaves the zoo and travels around the city. A variety of hats help Walrus blend in with his surroundings as he tries out life as a fashion model, bricklayer, firefighter and more. But when the hats come off, Walrus is "discovered"-- not only by the zookeeper, but he is also discovered to be a very special Walrus. I'm not sure if I'm the only one who has ever felt akward when reading wordless books to kids. My son always calls me out... "Mommy, I know you're not reading. Read the words... like a book." Some of you may be more gifted than me in this area, but honestly, the wordless genre has had always been a challenge for me. Where's Walrus? may have made that challenge history. On each page, I am able to begin by asking my son a question, "Where's Walrus?" From there the conversation flows as my son finds Walrus, and we talk about where Walrus is hiding, what he is doing, and if the zookeeper will get Walrus. Although the title sounds strikingly familar to another seek and find book, Where's Waldo, this is not a busy seek and find book. Walrus is generally hiding in an obvious spot on a sparsely illustrated page. The fun in this book isn't all about locating Walrus, it's seeing what he will try to do next. (Although for my 3 year old, there were a few times that I had to give him hints as to where Walrus was hiding... an older kid would probably be able to find Walrus very, very easily. )One more fun fact about the book, the artwork was drawn and created in Adobe Illustrator. I'm very impressed that someone could use a computer to illustrate a wordless picture book... and do it well. This book is fun and funny. It's different than a lot of books that are available for this age range. It will entertain kids and parents alike. Where's Walrus? is definitely a best pick of 2011 in our book. We do our story time with all three boys together. A wordless picture book would be an interesting twist. This does sound like a fun book. 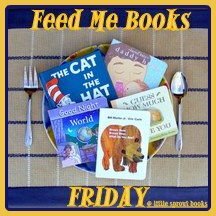 Wordless picture books are a good way to encourage interaction. 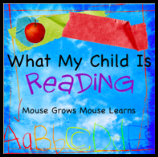 I'm posting a link to this post on my We Teach Children to Read facebook page. I am with you on wordless books - my daughter doesn't like the pictures without a story, especially since she can now read :) But I did hear great reviews of Walrus before. Thanks for joining WMCIR!